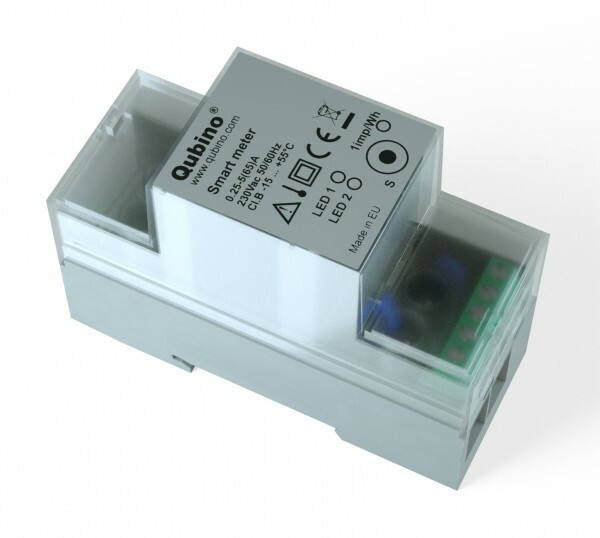 Product information "Qubino Smart Meter"
The Qubino Smart Meter is an extremely versatile and powerful Z-Wave module for measuring energy in a single-phase electrical power network of up to 65A. A built-in microprocessor calculates e reactive energy, the power and the power factor with the measured signals. The Smart Meter is designed that it can be mounted on a DIN rail. The Qubino Smart Meter can be used in residential, industrial and utility applications. It permanently measures the current and the current voltage directly in an AC circuit. It calculates the current and the total power, the power factor PHI and the reactive energy currently consumed. It also acts as a repeater in order to improve the range and stability of the Z-Wave network. The control via Z-Wave makes it possible to control separately available relays and to evaluate the measurement results of devices. Related links to "Qubino Smart Meter"